MAT Orange Shades Area Rug - Grey - Swatches may be available. Hand Tufted. Contemporary. A beguiling floor treatment that is sure to enchant all who walk upon it. Unique, skewed patterns are bent and curved around itself in a most alluring way. 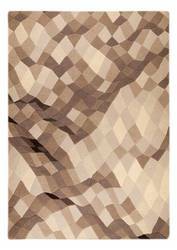 The ever-charming Shades design is an perfect rug to upgrade a transitional home with. This artisan hand-tufted rug is available in select sizes only and is made from 100% Polypropylene. 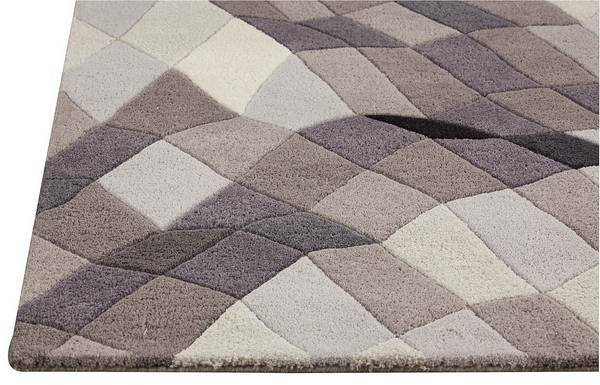 Hand Tufted with Mix of Blended New Zealand Wool and Viscose. Abstract. Mix of Blended New Zealand Wool and Viscose Cut and Loop; High Low; Hand Carved .5 inches. Made in India. MAT Orange Shades Area Rug - Grey 7'10"x9'10"
MAT Orange Shades Area Rug - Grey 5'2"x7'6"